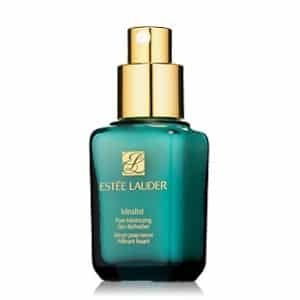 Click here to visit the Estee Lauder site and fill out the form for your free Even Skintone Illuminator sample. I clicked to get my free sample and the page is unavailabe…..?? False advertising? Same thing..it took my info and told me page was unavailable. It worked for me just a few mins ago. *So, who knows? But, I LOVE Estee Lauder Double Wear Foundation so I would love to try this! Just worked for me I had to click into it like 5 times. Must be busy! After I’d hit submit, I’d also get the page unavailable. But after hitting F5 a couple of times, it finally went through to the confirmation page. I get as far as the page with the form, fill it out, then get “The page you are looking for is temporarily unavailable. ****Apparently it took the info as I filled it out again and it said it already had my info. At least I got through. It did take several tries. I clicked and it went to a fill in page and verified my sample would be sent in 4-6 weeks. Thanks, Estee Lauder! It just worked for me. Try it now. Mine was accepted after 2 tries. Hey this is working. I would change the status on it. I assume the site was overrun by too many people. Just have them try again if they do not get it the first time. Went through without a hitch. Really nice to get a sample without having to go to the mall. Have used their products in the past and liked them. Maybe I’ll find a new fav! Just got mine this morning! Firstly, I love this page layout of Sample Stuff.. New look. No problem tried 1 time went through. Thank you can not wait to get it…. I got it finally! It’s working. I am having the same problem it will let me enter info then it bring up a temporary unavailable page….?? please send me a free sample. thank you. Would love to try a free sample! would like a free sample plz!! why doesn’t the links work? this is frustrating. When I try to get the Estee Lauder sample, the link appears broken. Now what? love to try a free sample see if it works. Would like a free sample….have try for two days now.. I love your products and a free sample would make my day! I would like one of the free samples of the Estee Lauder Even Skintone Illuminator please.. Thanks I can’t wait to get it! I have always loved Estee Lauder!! Link does not work; is this just a survey of some sort? I wear Estee Lauder’s beautiful perfume. Would love to give it a try..
First of all, congrats! Secondly, I ttaolly agree with you on the importance of good quality shoes and bags. These are the items that make the difference in an outfit and you should definitely invest more in them, at least that’s what I do knowing that they can last season after season. So yes, this is affordable fashion. Hope you have a wonderful week!